Cellulose fiber witnessed a round of bullish trend during 2015-2017 amid significant demand growth, widening application, rising prices of the industry chain and increasing profits, triggering peak of capacity expansion of more than 1 million tons/yr in 2018. How will huge capacities shock the market? Market competition mode starts to change by entering the period of industry agglomeration. Value chain cooperation, product image improvement and sustainable development have been crucial to market growth in future. What is the industry doing? How does end-user market treat the phenomenon? Meanwhile, the industry chain is affected by increasing factors. Rising standard for environmental protection has led to frequent shutdown of facilities, waste import ban has spurred paper pulp price hikes and then changed dissolving pulp supply and demand structure. Drastic volatility of auxiliary material price also caused violent fluctuation of cellulose fiber cost. 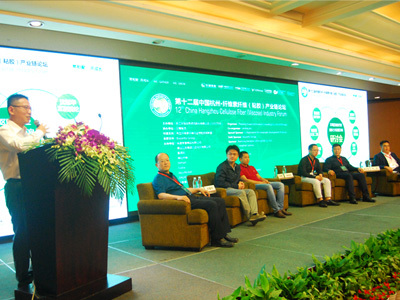 12th China Hangzhou Cellulose Fiber (Viscose) Industry Forum hosted by www.ccfgroup.com, www.ccf.com.cn, www.tteb.com will be held at New Century Grand Hotel Hangzhou during May 22-24, 2018. It has been hosted for eleven years, which has become a big event of the industry chain. We are looking forward to your participation to have discussion on the hotspots with experts and leading companies. 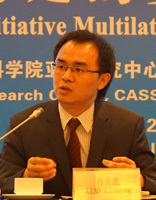 Xiao Lisheng, Doctor of Economics, Deputy Director of International Financial Office of Research Institute of World Economics and Politics of Chinese Academy of Social Sciences, associate research fellow and Master's supervisor. Mainly expert in international finance and China macro economy, global macro-economic trend and RMB exchange rate. He published many dissertations in core journals like Economic Research, Journal Management World, the Journal of World Economy and Journal of Financial Research. Attended various government seminars over macro economy and compiled many decision advisory reports and obtained several Chinese Academy of Social Sciences Excellent Countermeasures Award. 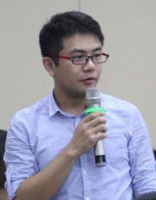 He was the chief researcher on macro-economy of Pacific Securities, Master's supervisor of Financial School of Sun Yat-sen University as well as of University of International Business and Economics, Researcher of Pangoal Research Institute of Macro-Economics (PRIME), Researcher in China Finance 40 Forum-Youth Economist and International Political and Financial Security Think Tank. Researcher of International Political and Financial Security Think-tank in Southwestern University of Finance and Economics. 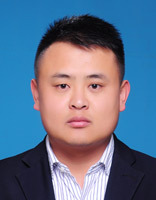 He is also now teaching EMBA in school of economics and management of Tsinghua University and in financial school of Renmin University of China. Silk Roads International Production Capacity Cooperation Promotion Center (SRIPCC) is a comprehensive service platform set up by International Cooperation Center of National Development and Reform Commission to serve the “Belt and Road” international production capacity cooperation strategy. Silk Road Center mainly carries out policy research, project promotion and talent training. It provides policy guidance for enterprises participating in the “Belt and Road” international capacity cooperation. It serves the international productivity cooperation enterprise alliance, integrates domestic and international advantageous resources, and provides enterprises with international, professional and market-oriented services. 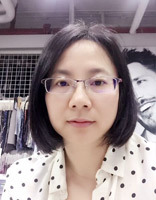 You Zhihua, deputy general manager of engineering department of China Hi-tech (Jiangxi) Textile Design Institute Co.,Ltd, senior engineer and environmental expert in Jiangxi Province. You has been working in viscose industry successively as craft designer, lead discipline engineer and project leader for 12 years and now he is in charge of engineering project management, environmental engineering technology research and development and so on. You is proficient in viscose acid station design and researching water saving measures, energy saving and environmental protection in viscose fiber factory. At present, You participates in editing “Viscose Fiber Engineering Technology Standards”. 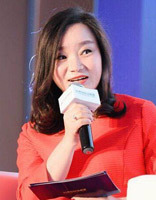 Ding Jinqi is now working as manager and industry analyst of CCFGroup. 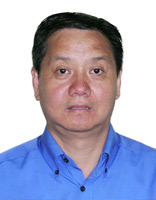 He has been engaged in viscose fiber industry research for 11 years and is now responsible for the research on mutual influence between cotton textile raw materials and macro economy. Mr. Ding has successfully forecasted the appearance of major market change for several times. He has organized the largest worldwide cellulose fiber industry forum for 11 times and delivered speeches on several conferences. He is also appointed as the consultant by some enterprises. 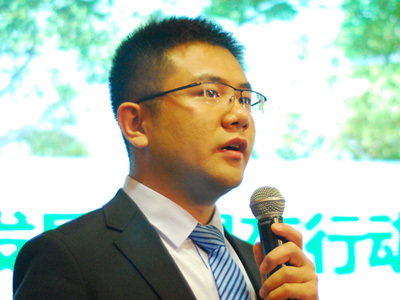 Since 2017, he has been planning to combine industry informatization and commerce service. Currently, tailored financial service for viscose fiber supply chain has officially begun. CCFGroup viscose information covers 100% of global viscose industry and 95% of dissolving wood pulp industry. Some indexes have been taken as reference for contract settlement. During final ruling of anti-dumping cases, CCFGroup DWP index is the only reference index in the arbitral awards. 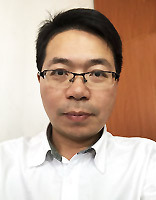 Zhang Zixin, Master of School of Materials of Donghua University. 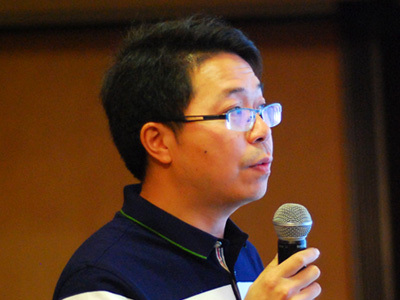 He was responsible for the management of the regenerated cellulose fiber industry and the development of relevant industry standards in the China Chemical Fiber Industry Association. 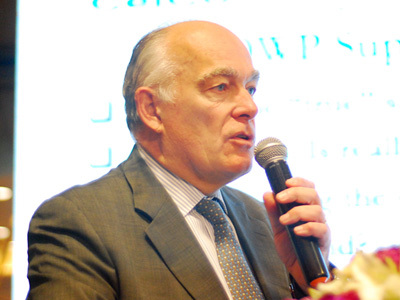 He jointly edited "Guidelines for Viscose Fiber Industry", "Cleaner Production Evaluation Index System for Renewable Cellulose Fiber Manufacturing (Viscose Method) ", and wrote "Research on the "13th Five-Year Plan for Development" of Regenerated Cellulose Fiber Industry", “Renewable Cellulose (Viscose) Fiber Industry Development and Environmental Protection” and so on. Besides, he also participated in the preparation and revision of many national, industry, and community standards such as “Lyocell Short Fiber”. Abstract: The three-year action plan for the green development of the regenerated cellulose fiber industry. Green development has become one of the core topics for the healthy development of the chemical fiber industry in the future. Cellulose fiber (Viscose fiber), as the earliest chemical fiber product, has been pressured by various parties at home and abroad in environmental protection. In order to explore and promote the industry's sustainable development model, to minimize the impact of the production of regenerated cellulose fibers and the entire life cycle on the environment, the Chemical Fiber Association, Cotton Spinning Association, Tangshan Sanyou, Sateri, Shandong Yamei, Yibin Grace, CHTC Helon, Zhejiang Fulida, Funing Aoyang, Jilin Chemical Fiber, Xinxiang Chemical Fiber, and Shandong Silver Hawk jointly established the " Collaboration for Sustainable Development of Viscose" in 2018. During the meeting, we will share the vision of the alliance, the progress of each project and the future work plan. 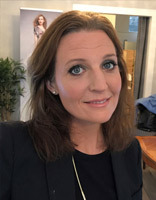 Nina Elmersson is Vice President Strategy & Projects at Ekman & Co. She has been employed since 2005 with focus on various areas within Ekman group such as derivatives, business intelligence, market analysis, business development and strategy. Today Nina is responsible for Ekman′s strategy and various projects, all focusing on creating additional value for business partners and enhancing the group′s performance. Together with the industry she works to identify, create and implement ideas that promote specific products and markets. The latest initiative for creating additional value is the project “Challenge the fabric”. This project is the first step in a strategy to create and raise awareness about viscose. Nina Elmersson holds a Master of Business Administration with finance focus from Linneaus University in Sweden. 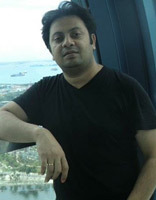 Umar Faruk Chowdhury, Global Wool, Leather and Viscose Material Supply Chain Manager for H&M. Umar is from Dhaka, capital city of the beautiful country Bangladesh, the land of rivers and a strong cultural heritage & a whole lot of warm hearted people. He studied Textile Engineering and have an MBA, passion for a better world, encouraged him to study further on Environment Management. Currently pursuing a yearlong certificate course on “Commodity Management” from University of Liverpool. Umar has over seventeen years of experience in different roles in Textile and Apparel industry and been with H&M for the last twelve years, carrying out different responsibilities with strong leadership, improvisation & strategic supply chain management. His role as a Material Manager enabled to connect & work with material suppliers across the globe, role of Product Manager for Denim introduced him to the beautiful blue ocean of creativity and the current role, Global Material Supply Chain manager comes with the challenge of helping the wool, leather and viscose industry taking a strong step towards sustainability along with a business case. Umar is currently based in Shanghai, a numismatic by hobby & spends most of the free time with his lovely family. 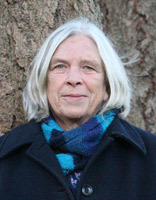 Catherine Stewart, Senior Corporate Campaigner, Canopy. Catherine has worked in the environmental not-for-profit sector for close to 30 years. Her focus has included forest and ocean conservation and improved sustainability mechanisms for fisheries, aquaculture and forestry operations. Ms. Stewart was a lead negotiator for the environmental sector in the precedent-setting Great Bear Rainforest Agreements in British Columbia, Canada, served as an NGO delegate at United Nations High Seas Fisheries Treaty negotiations and has worked closely with governments, indigenous peoples and industry in crafting solutions that work for business and the environment. 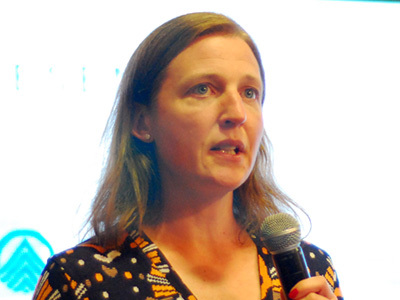 Catherine has been with Canopy for five years, with a focus on increased conservation of ancient forests through constructive engagement with forest product customers including viscose producers. Susan Yang: Major in Textile Engineering . Have been working for C&A 18 years in the fabric dept. Current rule is fabric merchandising Manager for woven fabric. Mainly for all types of woven fabric sourcing, development , order following up etc. 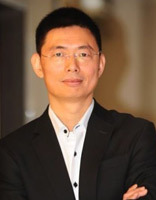 Xinxin Zhang has been working as a consultant for Rainforest Alliance since 2013 and is responsible for representing Rainforest Alliance certification and assurance services in China including coordinating certification client portfolios and for servicing present and prospective clients in all matters related to FSC certification, SAN certification and verification programs and services. 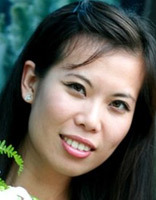 She is a forestry focal person of the Asia Pacific region. 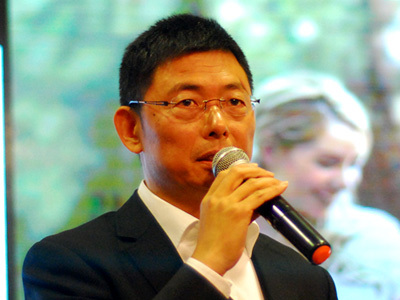 Xinxin holds double master degrees, MSc in Natural Resource and Forest Management from Goettingen University, Germany and Msc in Conservation and Land Management, Bangor University, Wales. 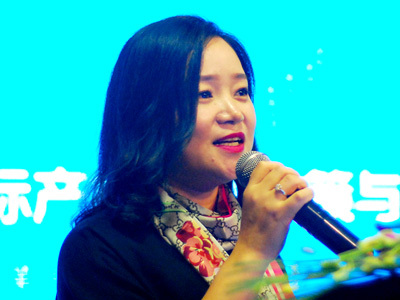 Prior to joining Rainforest Alliance, Xinxin spent over 10 years working in forestry including working with WWF China as a senior forest officer, IKEA as a forest coordinator, and China Academy of Forestry as a research assistant. 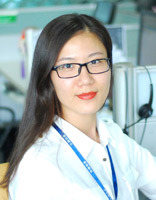 She is an ISO 9001 approved lead auditor, as well as FSC FM/CoC lead auditor. Professor and Doctor Supervisor Jin Xiangyu, is deputy director of the Industrial Textiles Engineering Center of the Ministry of Education, director of the Nonwovens Research and Development Center of Donghua University, and also deputy director of the Nonwoven Materials and Engineering Branch of the Textile Specialty in College of the MOE, and deputy director of the Academic Textiles Committee of the China Textile Engineering Society, and director of the China Geosynthetics Association, and the Vice President of the Spunlace Branch of China Industrial Textiles Association. Jin’s research direction is non-woven technology and intelligence, and his study scope includes structural properties and industrialization of biomass non-woven materials, multifunctional non-woven materials and performance evaluation, medical and non-woven materials processing technology and engineering, modified & double component polyolefin low resistance filter material, and geosynthetics research and environmental engineering applications. 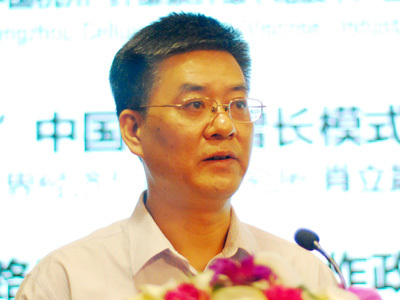 Jin has presided over the completion of the National Twelfth Five-Year Plan for Science and Technology Support Project “Processing Technology and Industrialization of Medical Protective Materials”, and chaired "Polylactic acid (PLA) Spinning Ultrafine Nonwovens Processing Technology", " Technology and Application of Bicomponent Spunbonded Nonwoven Fabrics", and so on. Jin’s project “Processing Technology and Industrialization of Medical Protective Materials” has won the first prize of Science and Technology of China Textile Industry Association, and his “Technology and Product Application of High-Efficiency Energy-saving and Emission-Reducing Spunlace” and “Non-woven Materials for Medical and Health Technology and Industrialization" were awarded the first prize of Shanghai Science and Technology Progress. Published 22 SCI papers and authorized 30 invention patents. Jin’s editorial National Planning Academy textbook "Nonweaving" and "Nonwoven Experiment" has won the second prize for science and technology of the China Textile Industry Association. More than 60 doctoral and master students were trained by Jin at home and abroad. 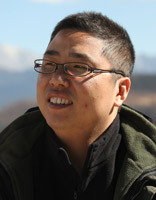 Huang Gangfeng studied at Dalian Gongda Textile and Garment Engineering Department from 1996 to 2000. 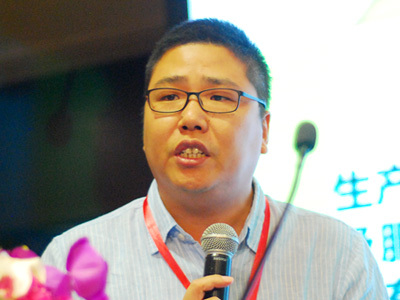 From 2000 to 2010, he was appointed as Purchasing and Merchandising Manager in a fashion company in f Hangzhou. 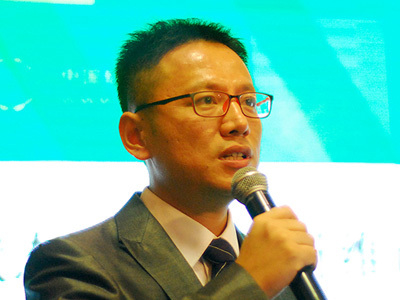 He has served as Purchasing Director of I' Happy Group since 2010. With nearly 20 years of experience in fabric purchasing and merchandising for large apparel companies, he is a professional person in the textile field and an experienced person in the garment industry. 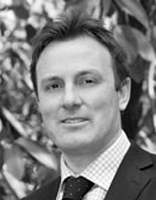 Christian Chavassieu has over 20 years’ experience in the cellulose Industry. 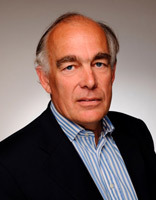 He is currently a managing partner at CelCo, a consulting company mainly focused on the Dissolving Wood Pulp Industry. He previously held positions with Sateri as sales and marketing Director, with Buckeye Technologies Inc. as senior vice president of the Wood pulp division and with Chavassieu & Cie SA, a pulp and paper trading company based in France as its President. Also worked for Apple computer and Schlumberger in various finance executive positions. Christian holds a bachelor degree in marketing from Institut Supérieur de Gestion in Paris and a master degree in business administration from Columbia University in New York. Mr. Alessandro Pellegrini is the Business Development manager for viscose auxiliaries of Bozzetto Group, global leader in the production of textile auxiliaries and particularly for the viscose process, thanks to the heritage of competence of Stockhausen GmbH, acquired by Bozzetto in 2002 and still present in the group through the fiber competence center in Krefeld (D).Bozzetto provides auxiliaries whroughout the whole viscose value chain, starting from activators to modifiers (global leader in Modal auxiliaries) to spin bath additives and fiber finishes, along with R&D services and technical support for development and production of any viscose fiber. Prior to becoming Business Development Manager, Mr. Pellegrini served as R&D associate in the central R&D facility in Filago (I), then focusing on fiber products and becoming reference for chemical developments for the fiber business of Bozzetto Group. Mr. Pellegrini has aMsC in Industrial Chemistry earned from University of Milan. Baijin Chemical is a large-scaled group company specializing in R&D of carbon disulfide technology, clean production, export, and supporting services. It is the member unit of China Carbon Dioxide Dispersion Association. 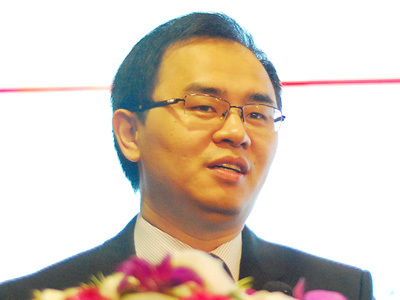 Li Yongqiang has engaged in the carbon disulfide industry for more than 20 years. 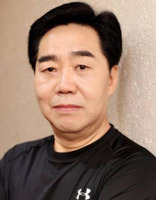 He experienced the ever-changing carbon disulfide industry, witnessed the technological innovation and vigorous development of the carbon disulfide industry, and accumulated rich carbon disulfide safety marketing experience. Over the years, he maintains a good cooperative relationship with major viscose factories and contributed to the stabilization of downstream users. Oliver is an industry analyst and consultant with more than 15 years' experience in the international pulp and paper industry. He has been with Hawkins Wright since 2007, working as one of the editors of Pulpwatch, Hawkins Wright’s monthly newsletter, the co-author of the Outlook for Market Pulp service, and the principal author of the Outlook for Dissolving Pulp. 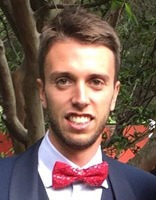 Prior to joining the company, Oliver worked as an analyst with the Pulp and Paper Products Council (PPPC) in Montreal, Canada. Oliver has led multiple consultancy projects including feasibility studies for pulp mills in Latin America, Europe and South East Asia. He presents frequently at industry gatherings. Xia Shihui, Master of Finance graduated from Zhejiang University of Finance & Economics, CFA candidate, is now an analyst of Zhejiang Huarui Information Consulting Co., Ltd. Miss Xia is engaged in the study on cotton and related industries, having deep understanding on cotton policies, industrial system and operation rules and she has taken part in many industrial meetings and preparatory work during her tenure. 12th China Hangzhou Cellulose Fiber (Viscose) Industry Forum hosted by www.ccfgroup.com, www.ccf.com.cn and www.tteb.com will be held at New Century Grand Hotel Hangzhou during May 22-24, 2018. 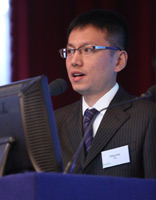 Mr. Li Yongqiang, from Shanghai Baijin Chemical Co., Ltd.